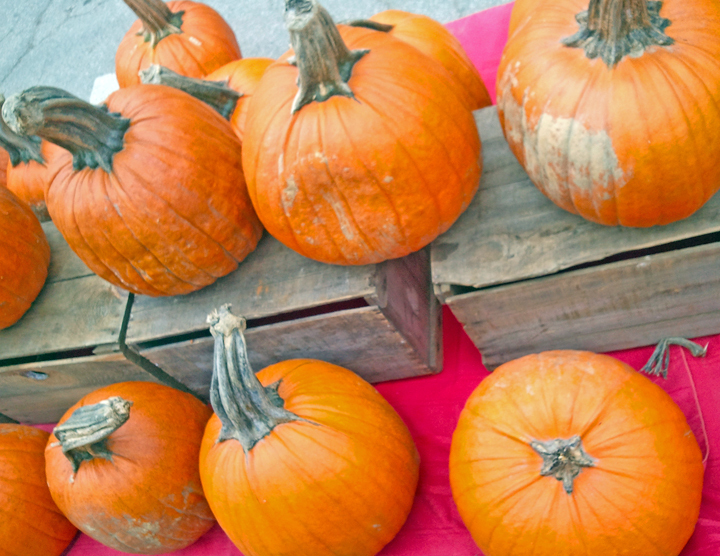 Yesterday we headed over to the Capital City Farmers Market to pick up a few pumpkins for Halloween. Check out the stems on these guys. 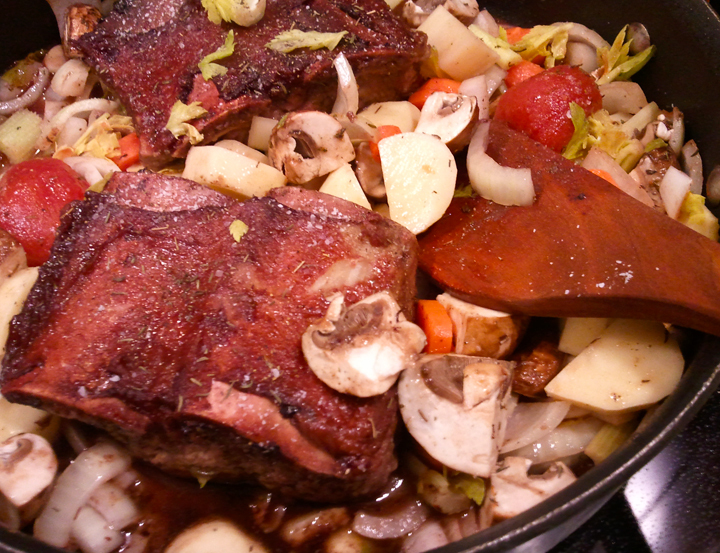 But we got distracted and left with vodka and short ribs instead. We were captivated by this vodka crafted from pure raw honey so much so that we forgot the pumpkins. Plus, I just adore the packaging... yes, I'm on of "those". So sorry kids. No cool jack-o’-lanterns at the Littells this year. We whipped up one of our most favorite cocktails using our favorite new vodka instead. Let’s let loose on our signature Spicy Bloody Marys, shall we? 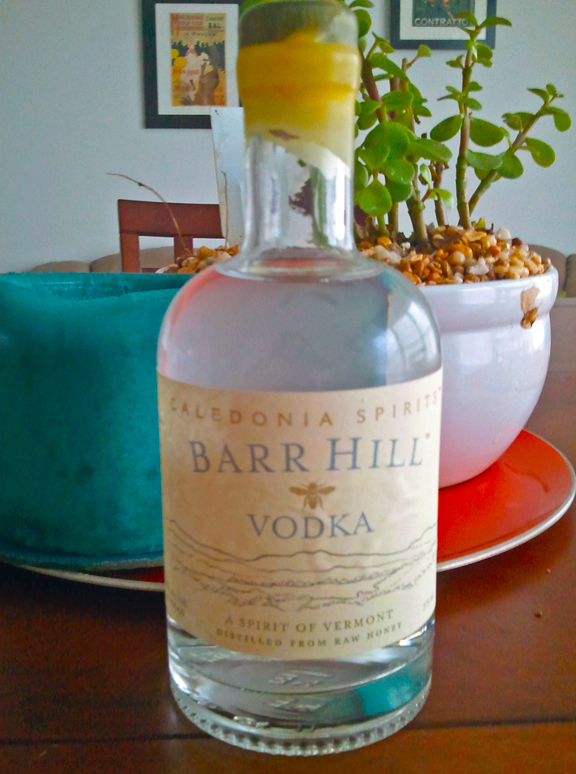 (1/2) cup of vodka – we used Calendonia Spirits Barr Hill Vodka and couldn’t be happier. 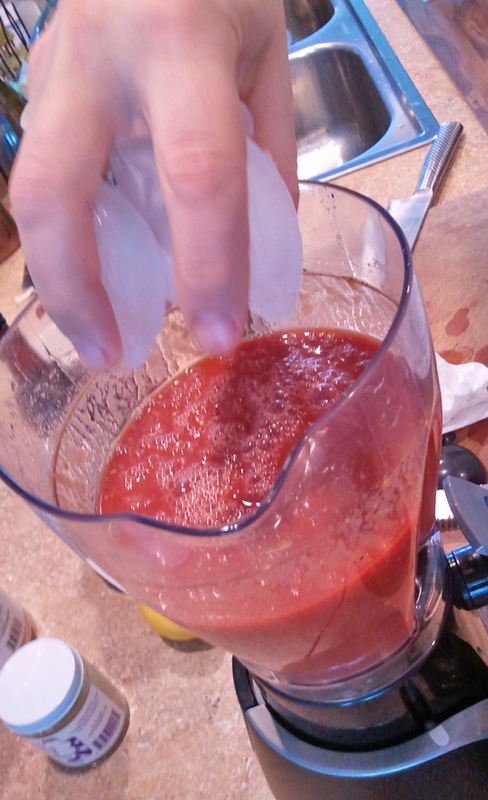 (1) quart (OR 4 cups) of organic tomato juice – we used RW Knudsen Family and loved the consistency. 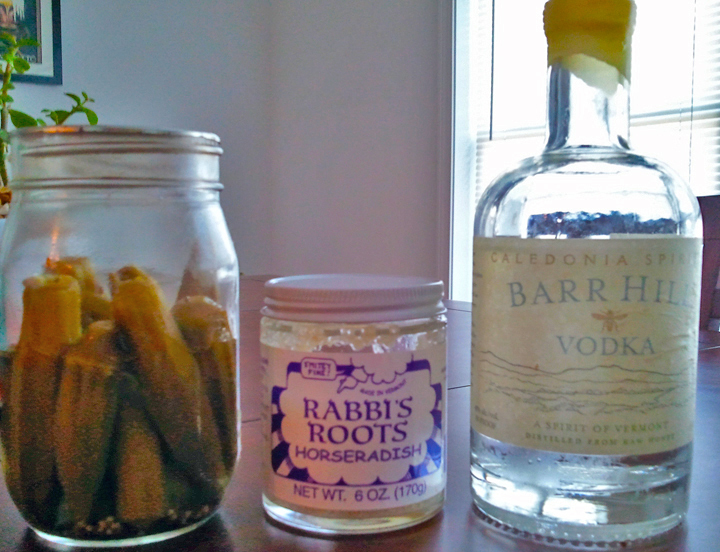 (3) tablespoons of fresh horseradish – we used Rabbi’s Roots Horseradish and love the kick! 1. First, pull out your blender ya’ll. That’s where it’s all going down. Grab a microplane to zest your lemon. Zest gently careful not to grate the white pith just beneath. 3. Next add your garlic, horseradish, worcestershire sauce, sriracha, salt and pepper. Pulse these ingredients gently in the blender to (of course) blend. Note: You want to leave your mixture slightly chunky. 4. 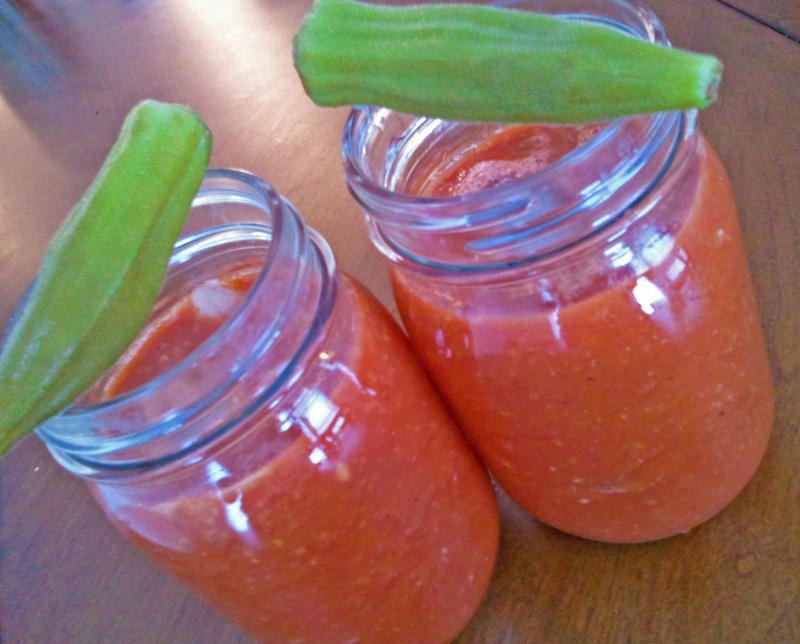 Now, pour in your tomato juice and again pulse until blended. 5. Finally, add your vodka (feel free to increase amount based on your preference… and tolerance) and add (5) ice cubes. 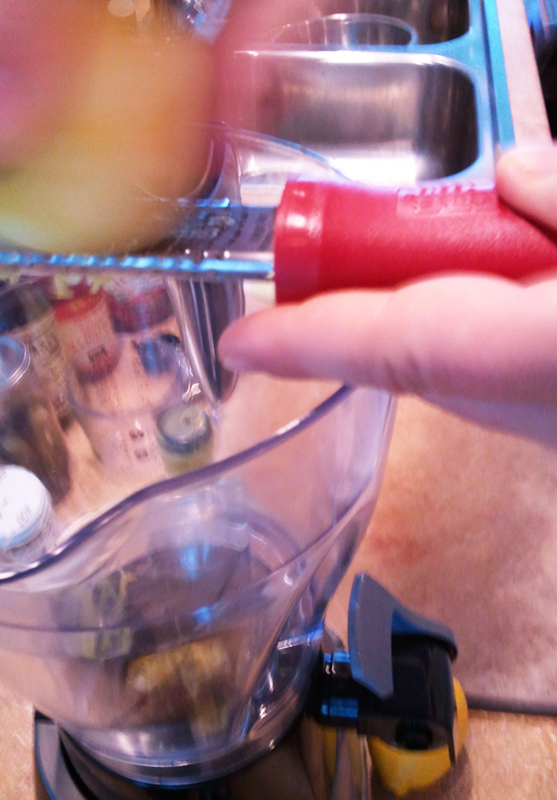 Then turn your blender on high and blend until smooth. Add that ice, ice baby. 6. Serve it up with your favorite accompaniments and enjoy! Find A Farmers Market – Be Inspired! When we stumbled upon the Capital City Farmers Market earlier this month, we were like kids in a candy shop. 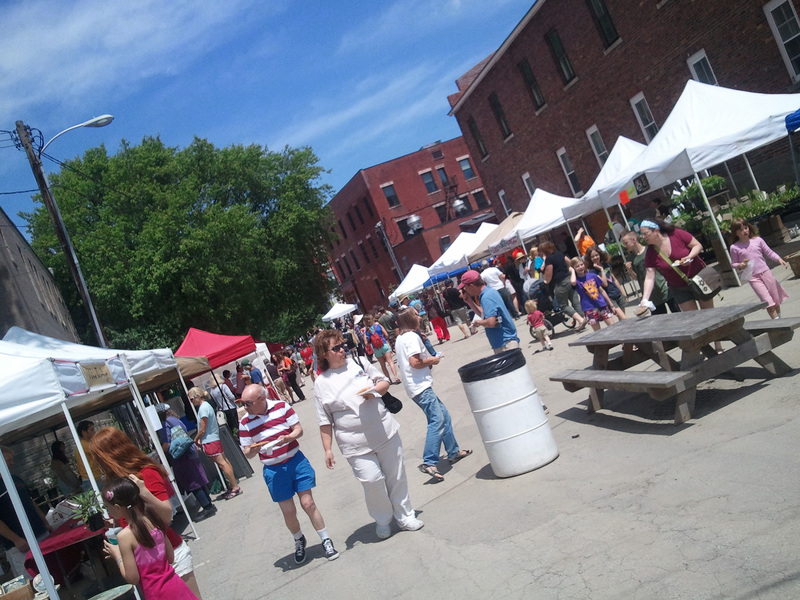 Voted one of the Best 12 Farmer’s Markets by The Daily Green, this eclectic gem of a Farmers Market has been bringing local consumers and local producers together for over 30 years. Capital City Farmers Market open Saturdays from 9am - 1pm May through October. Located at 60 State Street, downtown Montpelier. 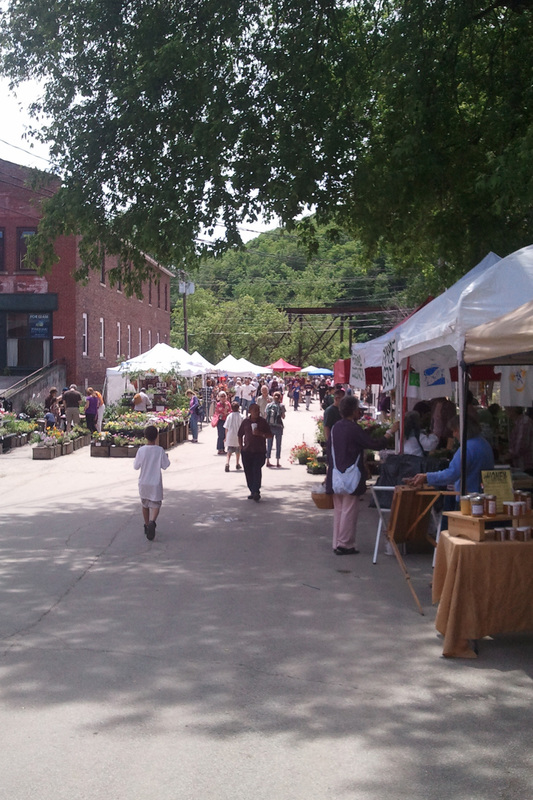 Music, samples, people watching, samples, incredible local farmers, samples. Let’s just say we’re big fans and Saturday mornings at the farmers market have become an extra special treat. What do we love? Walking in and brainstorming how to make a meal out of it all. Chatting with the vendors always inspires something new. 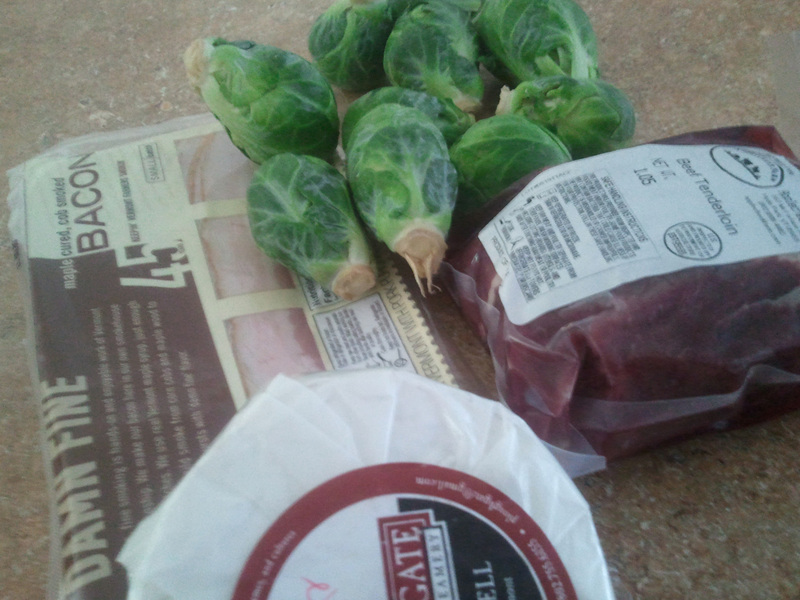 Plus, there’s nothing better than supporting local food producers. The food’s tastier, more nutritious and *gasp*, fresh! Yes, we’re good food groupies and we just can’t hide it. Double Score! 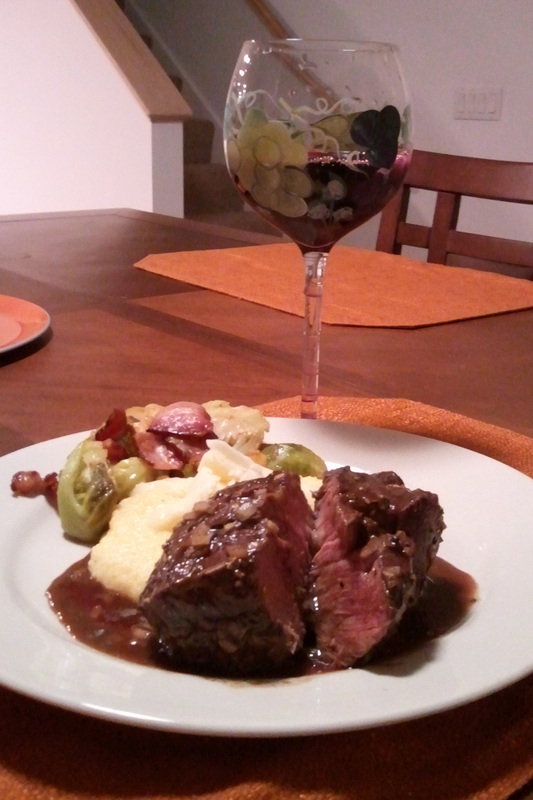 Grass fed beef tenderloin with a red wine pan reduction, Hartwell and roasted garlic polenta, sauteed brussel sprouts with onion and local Damn Fine bacon. Cheers! It’s our weekly splurge on the new budget. An extra special dinner date made with love, all for under 40 bucks. As we like to say “Now that’s what’s up!” Be inspired, let loose – find a local farmers market near you.